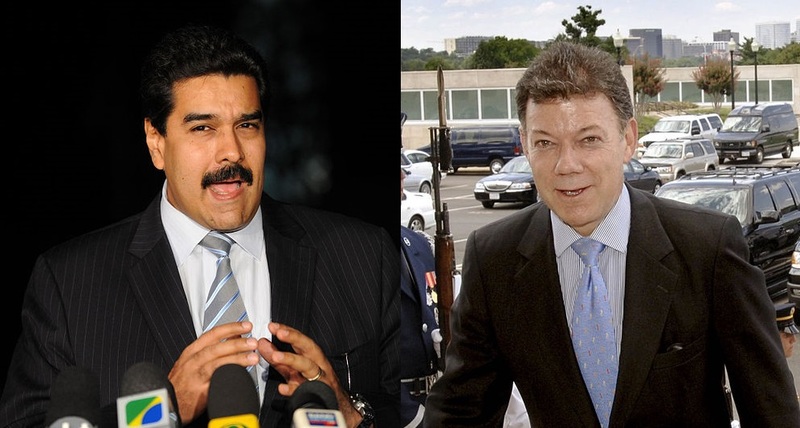 On Thursday, the 12th of August, Presidents Nicolas Maduro and Juan Manuel Santos met, and agreed to allow the Venezuelan border with Colombia to be re-opened for 15 hours during this weekend. Today, five pedestrian crossings on the Venezuelan border with Colombia will be open for 15 hours; this is a part of the agreement that Nicolas Maduro and Juan Manuel Santos reached during the highly anticipated meeting between the two presidents in the Venezuelan town of Puerto Ordaz on Thursday. According to state news agency AVN, Nicolas Maduro stated: “We’re at the front door of showing an example of how to create and recreate human, political and diplomatic relations.” He also added that the agreement that was reached represents a new frontier of peace. Satisfied with the results of the meeting, Santos had stated that the temporary reopening of the border is only the beginning of a gradual normalizing of the problem. Both presidents had agreed that the most important thing is to achieve better border security. The Colombian president stated that, in order to crack down on the criminal activities and heavy smuggling of Venezuelan petrol in the border area, both governments will share customs records. Besides the shooting of three security officials, the smuggling of Venezuelan petrol was one of the main reasons why Maduro had decided to close the border in 2015; according to government information, around 1 million liters of petrol have been prevented from being smuggled across the border, thanks to the closure. During a meeting between the Venezuelan and Colombian Foreign Ministers last week, the two states have agreed to follow a five-point plan that will improve the security in the border area; they will also improve military cooperation between the two countries, as well as public services and infrastructure in that area.